Homework for Period 2-6: Do problems 30-44 on page 321 from the workbook. 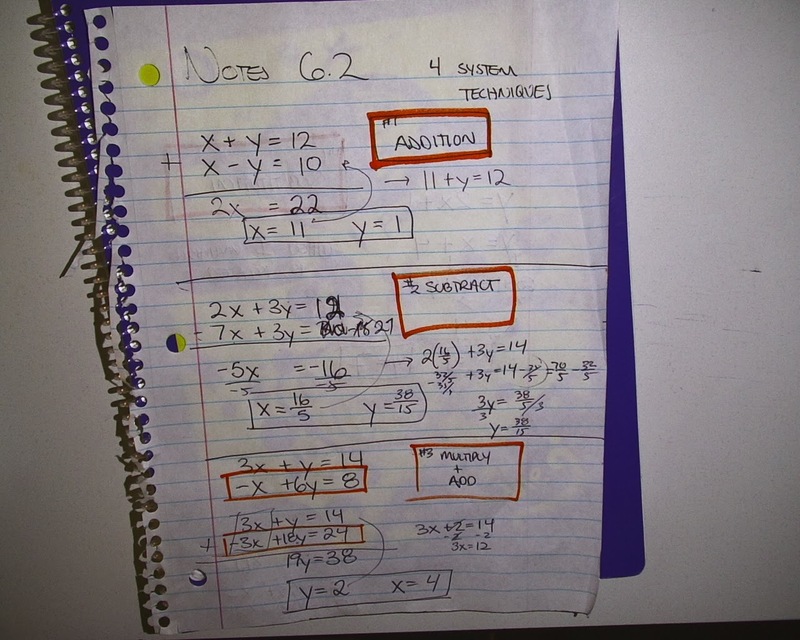 At least seven of the problems are done using the box method. 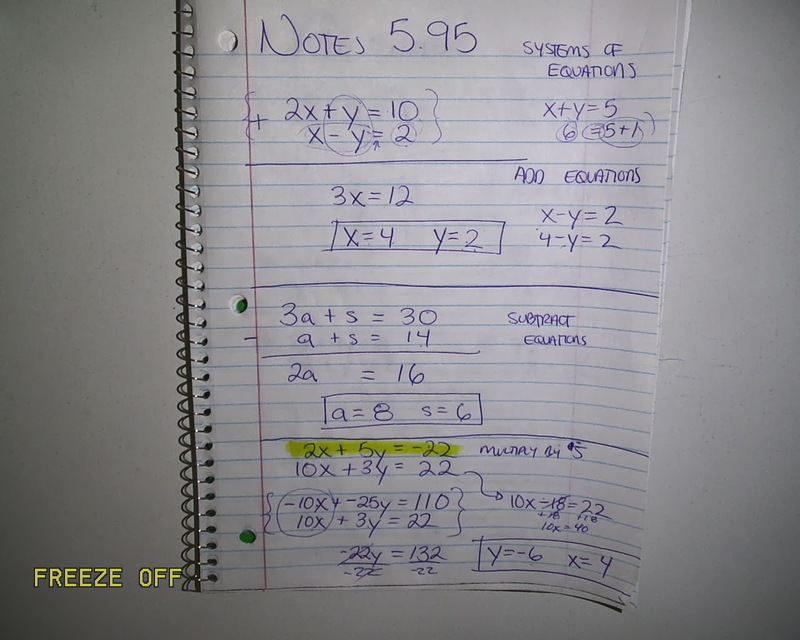 Check this and other videos for how to multiply with boxes. Period 7: Complete one of the challenges on Manga High. Use the link at the top of the page. we turned in POW #5 today. If you did not turn it in, make sure you turn it in tomorrow. It is the first assignment for the semester. 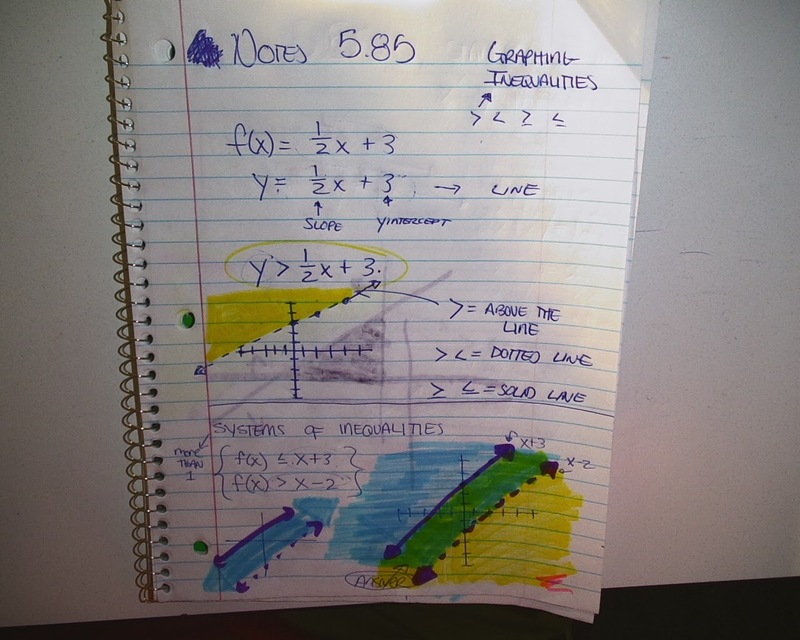 Period 2-5: we did page 321 out of the workbook, #1-21. we learned how to multiply polynomials. Homework for periods 2-5: Do # 3,8,9 from page 293 in your workbook. We will do a short review tomorrow, and take a quiz on systems on Thursday or Friday. Period 7: Yeah! Everyone finished in class, so there was no homework. We learned about discounts and percents. Period 6: We did Manga High, you were supposed to get a medal in Dave our Dumb Planet. Period 7: we learned multiplying is how you find percents. 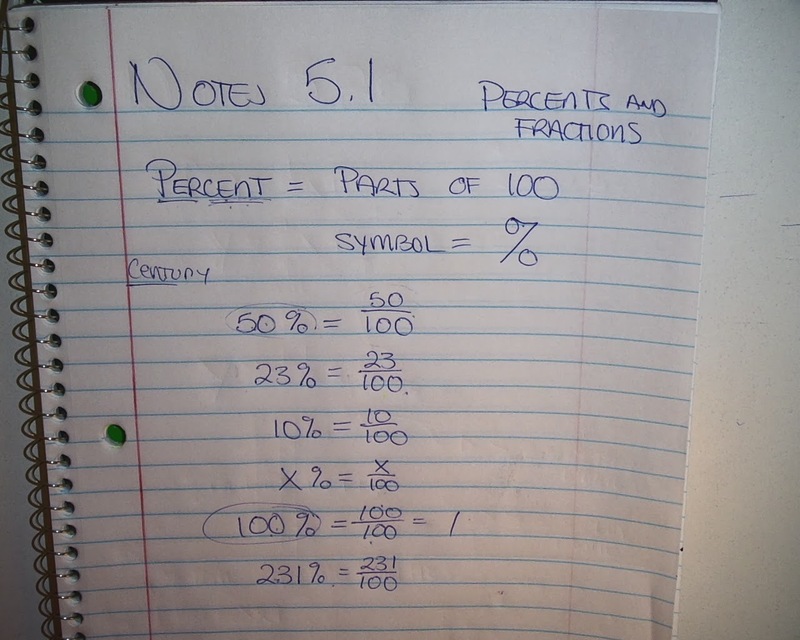 You are to finish both sides of the "% of" worksheet I gave you. Period 2-3: Page 291 from your workbook, do any 8 problems you want. Check the POW page for the problems and a template if you were not here. All classes. Yesterday, there was no homework. There was a sub and you were supposed to finish the worksheet in class. Today. Period 2-3 was not in class. Period 4-5 had an assignment on mangahigh.com "Save this Dumb Planet". Tomorrow, we will have a new problem of the week, and you will get two weeks to do it. Period 6: Check Tuesdays post for the notes and homework. 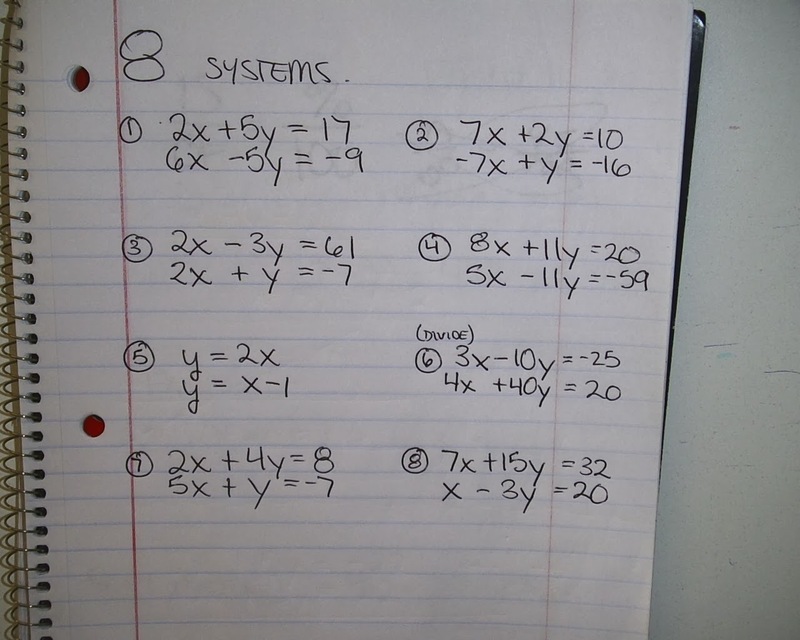 Period 2-3: We learned about systems and did 8 problems. See below for notes and systems. 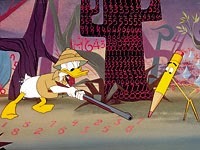 All Classes : we watched Donald in Mathemagic Land. And answered the questions below. It is due when I see you again. Pythagoras was a Greek mathematician. What are some of the mathematical contributions he made? What is a Golden Rectangle? Why is it important in architecture and art? Look around you right now. Do you see anything that looks like a Golden Rectangle in your classroom? Pythagoras wrote, “Everything is arranged according to number and mathematical shape.” What do you think he meant by this? Do you agree with him? Why or why not? What are some ways that math is a part of your daily life? What about the lives of the people in your community? The government? Can you suggest some ways that math is present in nature? The video refers to a number of games that rely on geometric or other math principles in order to be played. What were some of these games and how is math used in them? What other games do you know of that use math principles in some way? 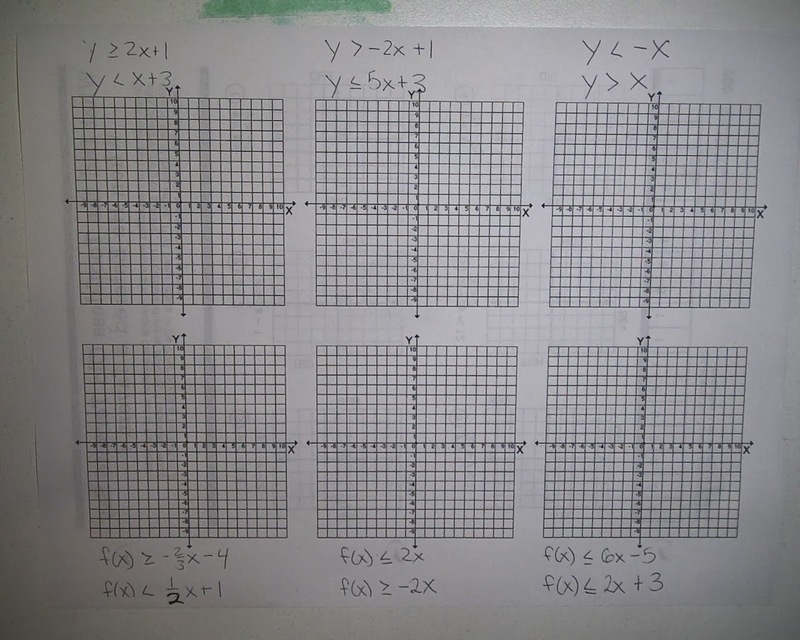 Period 1-6: Homework is to finish the worksheet on graphing inequalities (pg 197-198). Period 7: We did percents. There was no homework.